DISCMEDI to distribute entire Smudged Discs catalogue! Clara signs to Major Spanish Label Distributor Discmedi. 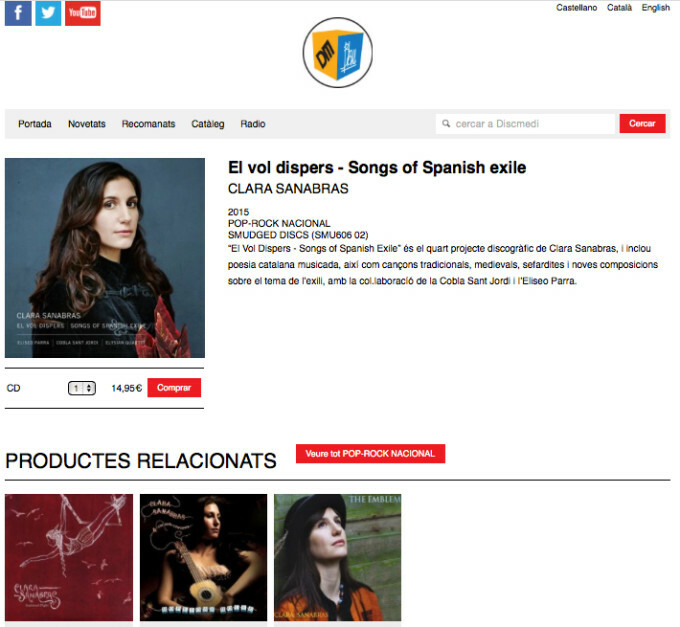 The entire Smudged Discs Catalogue will be available in all major Spanish retailers from January 2015 and Worldwide subsequently.